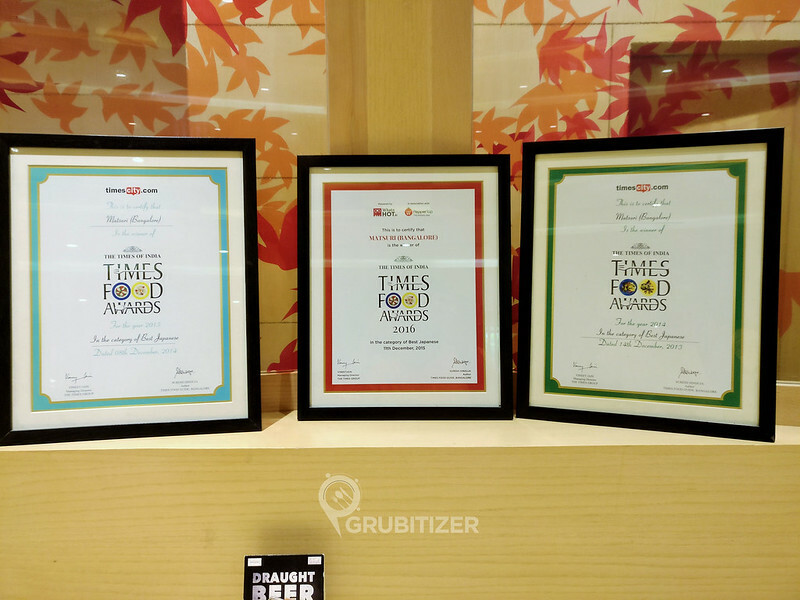 Japanese food is known for its sophisticated and refined ways of cooking which is said to have a healthier balance of filling in well controlled proportions, it is presented beautifully in tiny dishes and plates and as they say, dining here encourages you to ‘eat with your eyes’, and not just savor the taste. 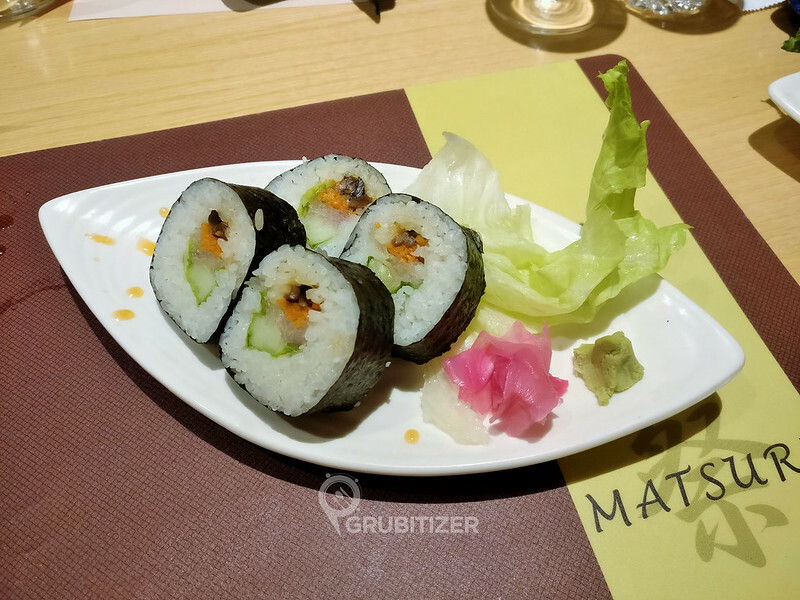 Matsuri at the Chancery Hotel is the place you would not want to miss if you are craving for authentic Japanese food in Bangalore. 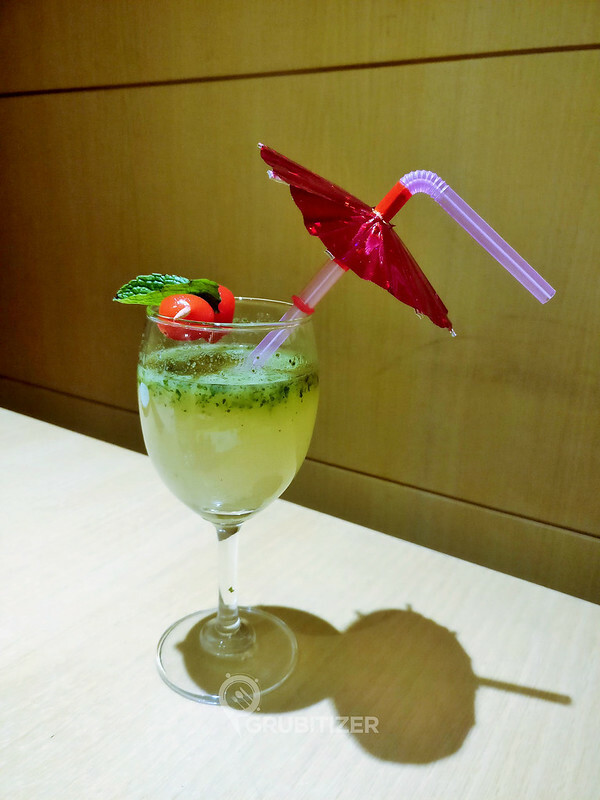 My welcome drink was Mint and Basil Lime Juice which felt extra refreshing as I literally had to do a marathon to reach, thanks to my ignorance that I missed the address of the place and ended up going to their other property (Chancery Pavilion). 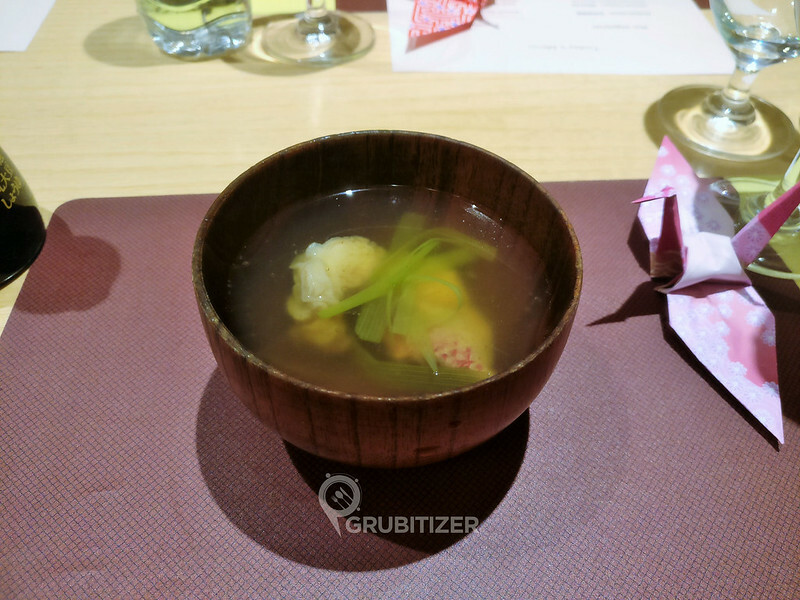 We started with Kuzu Tataki Soup (Red Snapper Fish Soup) served in authentic wooden bowls, so you are supposed to hold the bowl using both your hands and then gulp down the contents. 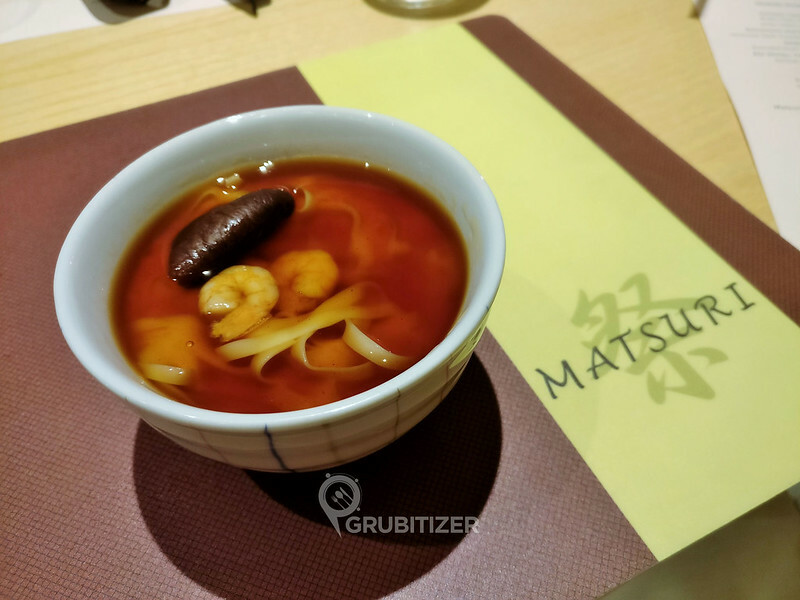 The semi clear soup was neutral in terms of spices. This was followed by an elaborate looking box which had Chicken Tempura (butter chicken served with white radish and served along with Tempura sauce) where the batter was a bit blunt but then the perfectly cooked meat inside compensated for it, Sunomono and Mizore-Su (Japanese style of pickels and gravy of Mizore sauce), Sashimi and Ebi Shinjo. Sashimi here was nicely cut assorted fresh low fish which was accompanied with drip soy sauce. 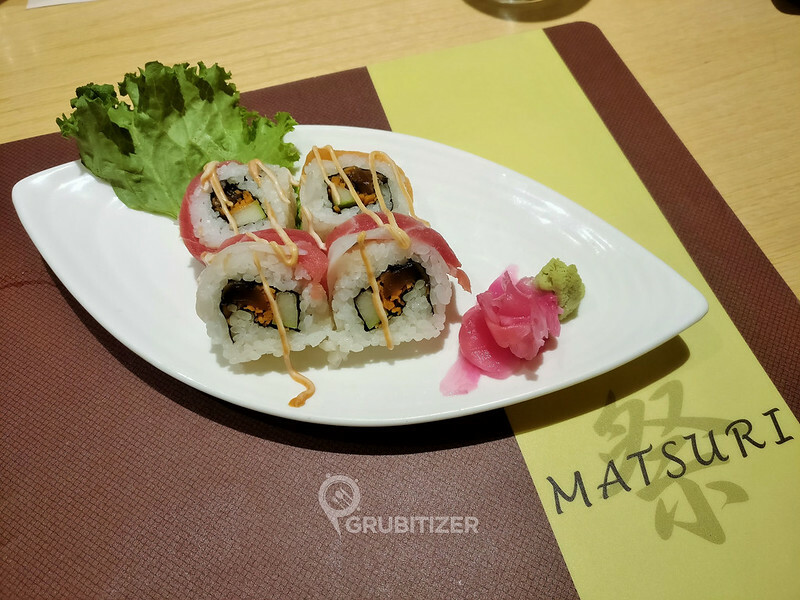 A visit to Japanese restaurant does call for an order of Sushi and the folks here had Matsuri – Sushi Moriawase on the menu, the Tuna based Sushi was nicely done and the bite sized delights had good amount of stuffing in it. 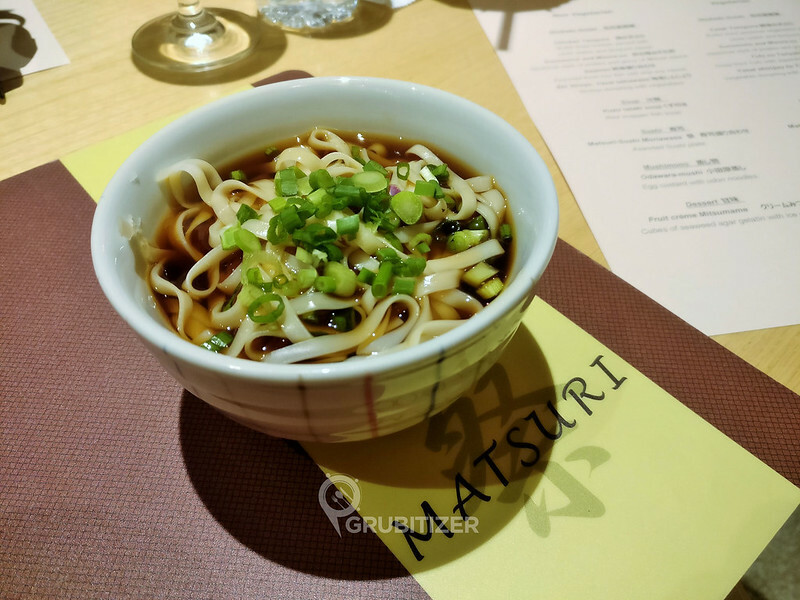 We also tried the Odawara – Mushi which is egg custard with udon noodles. 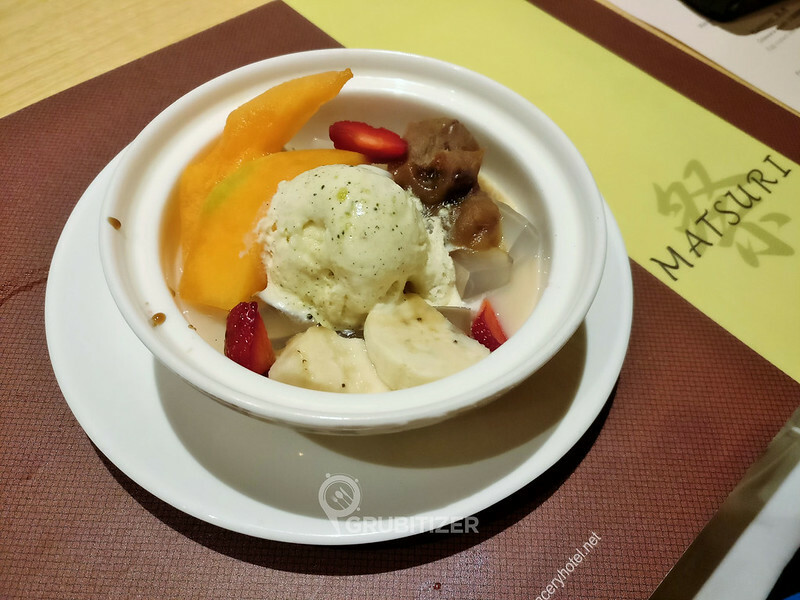 It was time for dessert and the chef had prepared Fruit Crème Mitsumame, the cubes of seaweed agar gelatin went well with ice cream. 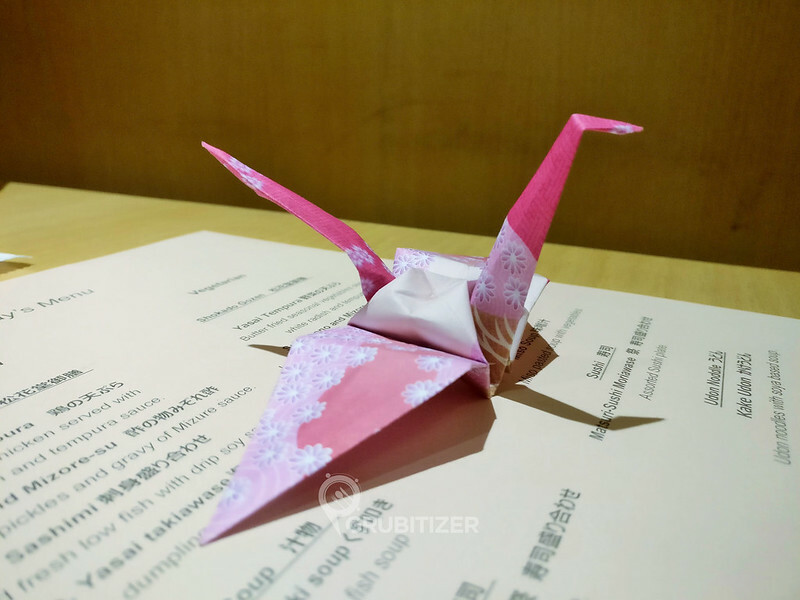 It was a fun afternoon overall as we got to try our hands at Origami, the art of paper folding which is associated with Japanese culture. 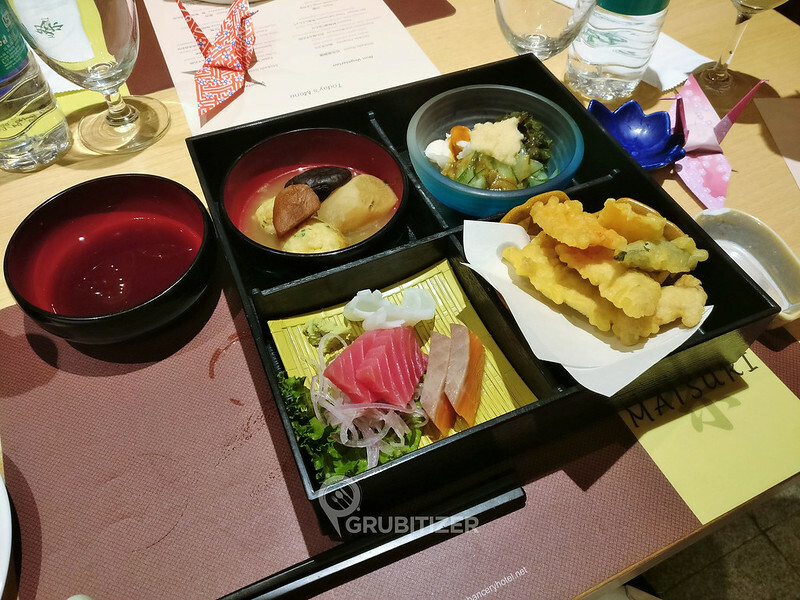 So do visit Matsuri if you are in a mood to indulge food items inspired by authentic Japanese cuisine. 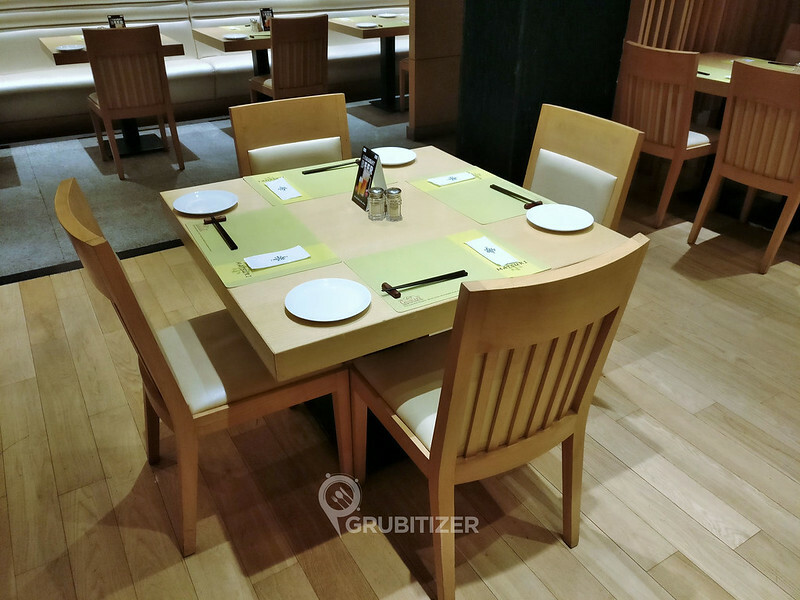 Previous Post: Lunch scenes at the newly opened brewery called The Whitefield Arms!